What if your next trip out for a bag of chips ended with you browsing bespoke jewelry… but you never wavered from your destination? For some New Yorkers, that’s exactly what happened when a bodega cross-bred with an art exhibit. With the PayPal Cashback Mastercard®, you earn 2% cash back on everyday purchases, and that's without an annual fee or foreign transaction fees. The cash rewards never expire, have no limit, and go directly into your PayPal balance when you call them in, so you can earn 2% cash back without navigating a minefield of rules. To illustrate all the ways those everyday purchases could turn into something extraordinary, PayPal recently hosted a Cash ‘n Back NYC pop-up. The temporary Nolita art exhibit (held June 9 at 201 Mulberry Street) mimicked a grocer you could find on just about any corner of New York -- with a twist. Inside were typical purchases reimagined as super-chic rewards by artists both physical and digital. 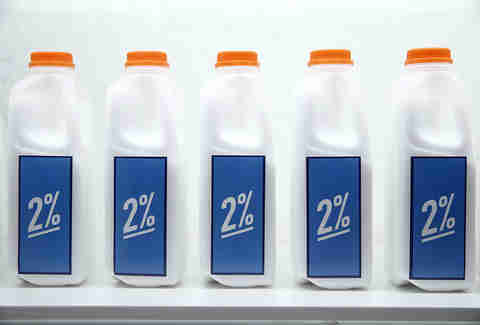 Each item in the exhibition reflected results from a survey conducted last year. When PayPal asked Americans how they would spend an extra $500, nearly half said they’d use it for clothing, shoes, and accessories. Others said they’d use the money on tech products or to pay off debt, while some would save or invest it. Since $500 was the number an average spender could expect to earn back on their regular spending in a year, PayPal transformed their answers into artistic interpretations. That way people could see their ideas made into very luxurious reality. The art was centered on one very simple idea: What if every purchase you made -- even chips, gum, or a bottle of water at the local delicatessan -- could earn you cash back rewards on your credit card? Which means money in your pocket at the end of the year to spend on whatever your heart desires. And at the Cash ‘n Back pop-up, visitors didn’t even need to wait for their monthly statement to see their wish lists turned into reality. Visual, artistic representations of the survey were everywhere. That impulse buy of sweets you bought? 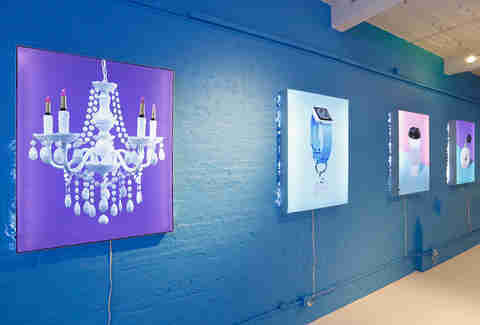 Now it's a chandelier on a wall made of candy, adorned by industrial designer Alexis Jesup of Colors Collective with the phrase “from candy to eye candy” to showcase how consumers could spend their extra money on interior design. That coffee you grabbed for a quick pick-me-up? Digital artist Vanessa Mckeown merged its heat sleeve with a diamond bracelet to show how it could help you live your elegant dreams. Keep walking and you would have found the phrase “Now servicing flights from deli to Delhi” written on another wall, meaning some people would travel if they had that extra cheddar (from getting 2% cash back… from cheddar cheese on a sandwich). 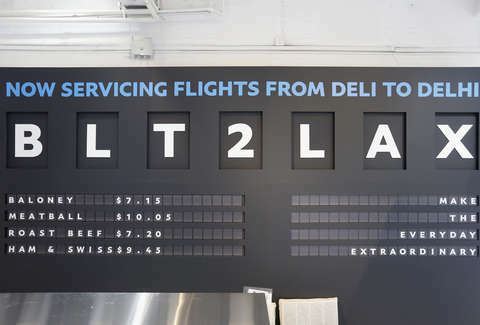 A good match for the microdesigned, travel-themed diorama by creative studio Nix + Gerber that occupied the deli counter. Nearby, you could eyeball a dog collar playing host to a smart watch, courtesy of combophoto manipulator Stephen McMennamy, showing how those essentials for Fido could have gotten you that sweet piece of technology you've been dreaming of. Were there bodega cats? Of course there were bodega cats, curated into a cuddly gallery courtesy of "The Cat Photographer" Andrew Marttila. Other Instagrammable moments included a flower gown by FLWR Studio’s Emily Buckner. Guests could “try it on” for a photo by simply standing behind it. And once you start earning your 2% cash back, you just might want to commission such a fancy item of your own. Find out more about the card. Over 1,460 attendees experienced the PayPal Cash ‘n Back pop-up in NYC. While taking in the art, enjoying refreshments, and posting on social media, they surely considered what they’d do with 2% cash back from their daily spending. Personally, we’d put it towards everyone having a flower gown in their closets. Every day is extraordinary when you’re wearing flowers.